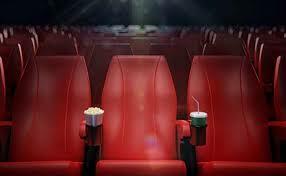 New cinemas to be opened in Saudi Arabia this month will not require men and women to sit separately. Saudi Arabia's first cinema in more than 35 years will open on April 18 in the capital Riyadh, the authorities said on Wednesday after agreeing with AMC Entertainment Holdings to open up to 40 theatres over the next five years. The deeply conservative Muslim kingdom had some cinemas in the 1970s but its powerful clerics managed to close them, reflecting rising Islamist influence throughout the Arab region at the time. But the government said last year it would lift the ban as part of ambitious economic and social reforms pushed by Crown Prince Mohammed bin Salman. He is currently touring the United States seeking investments to help broaden the economy and lessen its dependence on oil. A source familiar with the matter told Reuters the cinemas would not be segregated by gender like most other public places in the kingdom. "The restoration of cinemas will ... help boost the local economy by increasing household spending on entertainment while supporting job creation in the Kingdom," Culture and Information Minister Awwad Alawwad said in a statement. AMC is partnering with the Public Investment Fund (PIF), Saudi Arabia's main sovereign wealth fund. New cinemas to be opened in Saudi Arabia this month will not require men and women to sit separately as they are in most other public places in the deeply conservative kingdom, a source familiar with the matter told Reuters on Wednesday. After a nearly 40-year ban, movie theatres are returning at the direction of Crown Prince Mohammed bin Salman who is pushing economic and social reforms to help broaden the economy and lessen its dependence on oil.